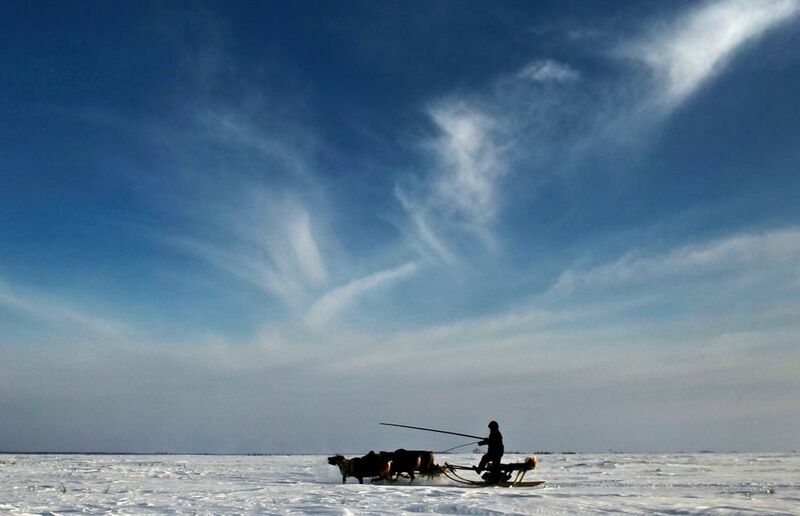 Siberia is about to win the battle for the magnetic pole. It can provide a fantastic sight in southern Norway. MOSCOW (Aftenposten): The magnetic pole in the northern hemisphere is moving at ever increasing speed from Canada towards Russian Siberia. Just a few weeks ago, the US National Institute of Environmental Information published a new update of the World Magnetic Model (WMM), also referred to in Russian media. This model is used in navigation of aircraft and ships, among other things, to correct for the magnetic pole to deviate from the geographic North Pole. WMM is also used in mobile phones. Usually such an update comes every five years, but this time it came a long time before. The reason is that the magnetic pole is moving at ever increasing speed from Canada and towards Siberia. From 1970 until today, the speed has increased from 8 kilometers to 55 kilometers a year. 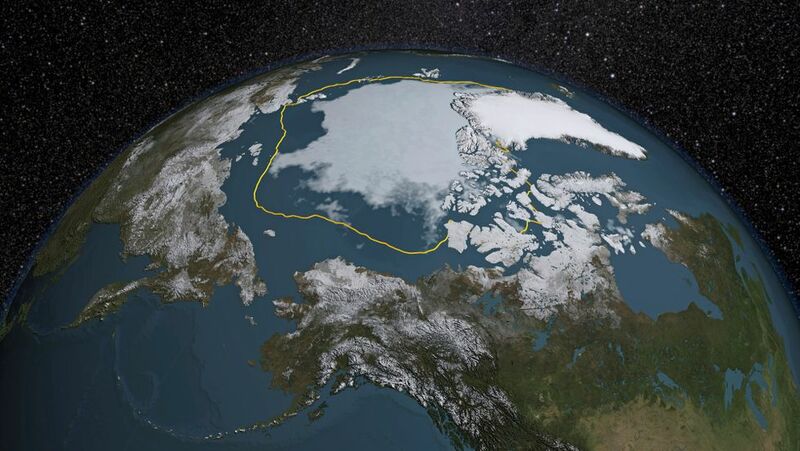 – The magnetic pole point is moving faster and faster in the direction of Siberia, but we do not know why, says Alv Egeland, professor emeritus at the University of Oslo. Anton Golubev, Reuters / NTB scanpix. In a few decades, the magnetic north pole can end up here in Siberia in Russia. The picture shows a man from the ethnic group nenets on a reindeer herdsman. How does earth magnetism occur? The main source is intense, electrical currents in the interior of the earth. Liquid iron and other high conductivity metals are moving due to the earth’s rotation. Then a magnetic field arises. Magnetization in the earth’s crust. 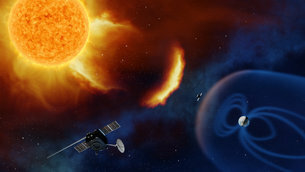 The solar wind also affects the magnetic field. Wikipedia. 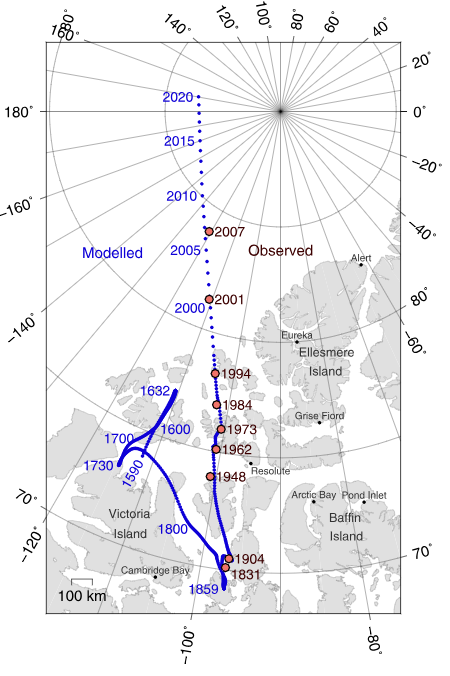 Thus, the magnetic north pole has moved from 1831 until today. – The electric currents have changed and therefore the magnetic pole point moves. The speed has increased tremendously. We do not know why the currents change, Egeland points out. British James Clark Ross was the first to find the magnetic pole in 1831. When Roald Amundsen traveled with “Gjøa” through the Northwest Passage in the period 1903 to 1906, he went out with a dog team to locate this point. However, the point was not where Ross had stated it. It had moved. Only after three weeks of exploration Amundsen found the point. NASA/Reuters/NTB scanpix. The magnetic pole of the northern hemisphere differs from the geographic pole point. Amundsen was the first to document that magnetic poles are moving, but he was unable to calculate the speed. When experts have looked at his measurements later, they have found that the pole then moved at a speed of 7 kilometers a year. From 1904 to 2001, the point has moved 1100 kilometers, and the speed is constantly increasing. Now it is up to 55 kilometers a year. When the Earth’s magnetic field changes, it will also affect the Northern Lights. Northern Lights is a phenomenon that occurs when energetic particles are thrown from the Sun towards Earth. The particles create intense electrical currents in an upper part of the atmosphere. The Northern Lights particles are controlled by the Earth’s magnetic field. As the Earth’s magnetic field changes, the Northern Lights will also move. – The magnetic field is the wizard that indicates where the northern light comes, says Egeland. A couple of thousand years ago, northern lights in China have been observed, but this is not the case. 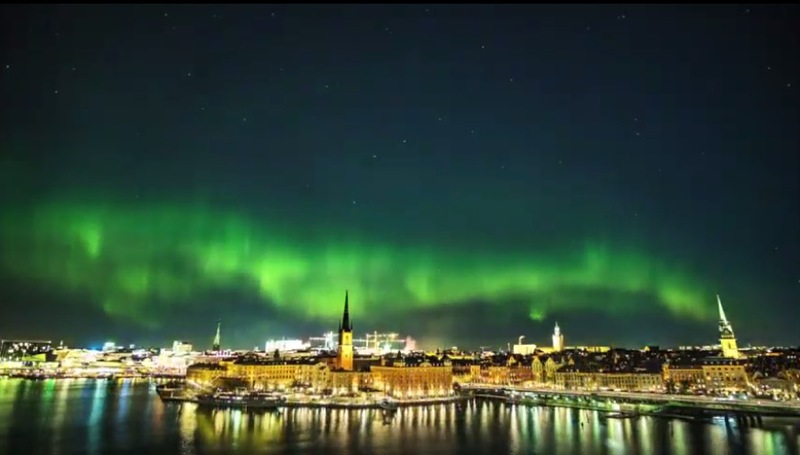 – Many believe that the change in the magnetic field we observe – and the change in the magnetism’s intensity – will make us able to get much stronger northern lights in southern Norway in the future, says Egeland. The reason is that the magnetic pole point’s displacement – and that the intensity of the field decreases – makes it come closer to Norway, and thus the Northern Lights will also move. If that happens, you will get far less northern lights in Northern Norway. – The maximum occurrence will then be in Southern Norway, but one will continue to see some northern lights in Northern Norway, states Egeland. The Northern Lights come in over a belt of about 1000 kilometers, and one very rare time today one can see the northern lights as far south as in Italy. Northern Lights researcher Magnar Gullikstad Johnsen boasts Egeland, who has been central to building up the Northern Lights research environment in Norway for the past 40 years. However, in the question of how the transfer of the magnetic pole will affect the Northern Lights, he disagrees with Egeland. Johnsen states that the belt with northern lights is concentrated on the geomagnetic pole – not the magnetic pole. The geomagnetic pole can be defined as the location where the axis of symmetry of the earth’s magnetic field intersects the earth’s crust, as opposed to the magnetic pole representing the place where the magnetic field is perpendicular to the earth’s surface. 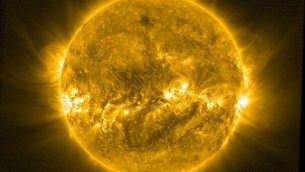 – The geomagnetic pole also moves, but much slower than the magnetic pole. 100 years ago it was located northwest of Greenland, and today it is north of the Canadian Ellesmere Island in the Arctic Ocean, Johnsen says. Over the past 100 years, the Earth’s magnetic field has weakened by several percent. It also affects the Northern Lights and makes it move south. – The Northern Lights move, but it happens very slowly. It can take thousands of years before one gets just as intense Northern Lights in southern Norway as today in Northern Norway, Johnsen believes.